Friday the 13th Badland Comics. 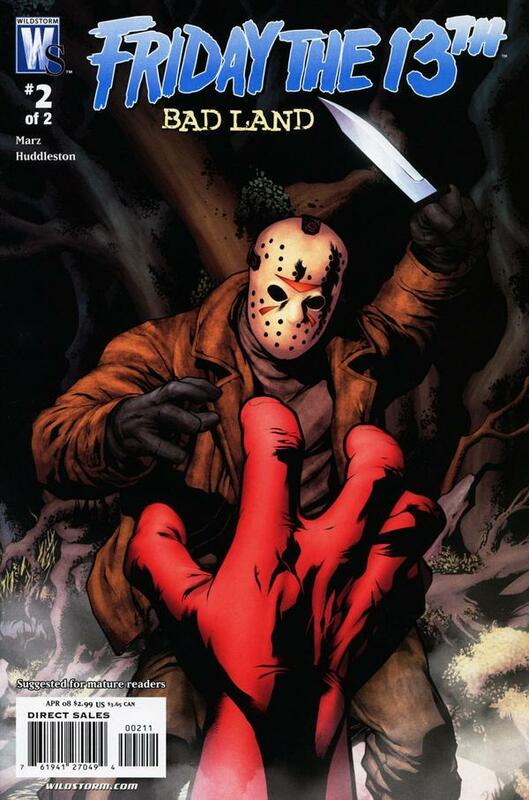 A two issue comic mini-series.. HD Wallpaper and background images in the Jason Voorhees club tagged: friday the 13th jason voorhees horror slashers comics books fan art. This Jason Voorhees fan art contains anime, grappig boek, manga, cartoon, and stripboek. There might also be krant, tijdschrift, tabloid, vod, papier, and rag.